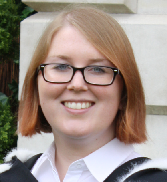 Maeve O’Dwyer is a third year Art History PhD from the University of Edinburgh interested in all things C18- especially classicism, portraiture, sculpture, the Grand Tour and ideas of identity, especially Irishness. She will be speaking at the 2015 Annual Conference in Cork. Feel free to contact her ahead of the conference on Twitter @ODwyerMaeve. What is your favourite museum, gallery or heritage site? That’s a tough question. I’d have to say the Vatican Museum. They have one of my favourite sculptures, the Sleeping Ariadne, and there’s always a feeling that there’s more to see around the corner. What is your favourite online resource? The Internet Archive, for easy access to resources digitized and uploaded by other institutions. What is your favourite book/poem/painting/object of 18th century interest? I’d have to say the fabulous 1774 portrait of Thomas William Coke, by Pompeo Batoni. I’d love to get to Holkham Hall to see it in person. What 18th century figure would you most like to have a drink with? James Caulfield, Lord Charlemont. I’d ask him about his sense of identity, his portraits, and whether he was really mugged twice on his own land because he insisted it remain open to the public. What will you be talking about at the ECIS Annual Conference 2015? I’ll be discussing 1750s Rome, with a focus on the visual evidence of Irishmen abroad at a time when the Grand Tour itinerary was only just beginning to be set. I’ll consider how influential the Irish were in setting the standard for imagery of Grand Tourists for decades to come, and the possibility of reading a tension between Irishness and Britishness into their portraiture.